A 45-year-old woman with a hypercoagulable state presented to Duke Gastroenterology (GI) with Budd Chiari syndrome, portal hypertension, and portomesenteric thrombosis. The extensive clotting had also caused bowel infarction, requiring small bowel resection. Because of her hypercoagulable state, the patient was already on anticoagulants. In an attempt to take a different approach to breaking up the clots, a Duke GI surgeon inserted a transjugular intrahepatic portosystemic shunt. Still, the patient’s liver disease slowly progressed in the ensuing years. Six years later, she had developed cirrhosis with severe ascites. 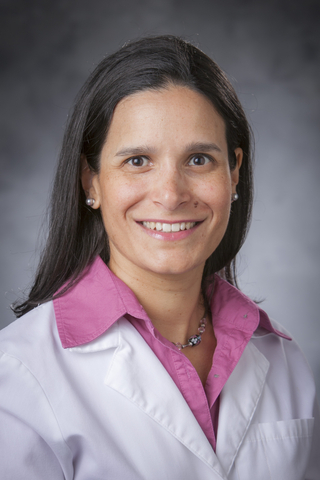 Chief of the Duke Division of Abdominal Transplant Surgery Debra Sudan, MD, recommended that she undergo multivisceral transplant. The patient agreed and was placed on the waiting list for combined liver and intestinal transplant. As soon as the patient was eligible and organs became available, Sudan performed the transplant. Although the extensive clotting in the patient’s abdominal organs made surgery challenging, Sudan successfully removed her native liver and small bowel and transplanted a pancreas, small bowel, and liver with duodenum attached. But during the year following the transplantation, her ascites worsened. Sudan also observed that her spleen was massively enlarged. Question: How did Sudan address the worsening ascites? Answer: After first trying to drain the fluid into one of the patient’s veins, Sudan and her team removed the patient’s native spleen, pancreas, duodenum, and part of her stomach. Soon after the surgery, the patient’s ascites resolved. In light of the patient’s massively enlarged spleen, Sudan suspected that her worsening ascites might be caused by the presence of the clot in her native portal and splenic veins. However, she found no reports of such a complication in the literature, and other experts in the field advised against removing the native organs. So, initially, Sudan avoided additional surgery, especially given the risks it would present. It was a difficult surgery, Sudan reports, but, with a healthy liver, the patient didn’t have the same degree of abnormal vessels she’d had during transplantation, helping the procedure go smoothly. The patient is now three years out from the second surgery and returns for follow-up every few months with Sudan and medical director of Duke’s Small Bowel Transplant Program’s, M. Cristina Segovia, MD.